*Please note, this meat grinder will not work with any of the attachments that work with the other meat grinder. 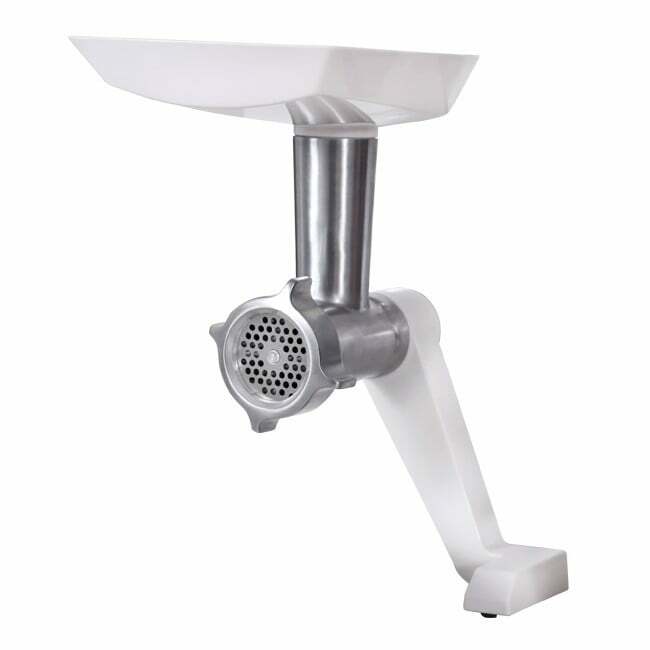 This meat grinder will only work with the Bosch Universal Plus mixer, not previous models. 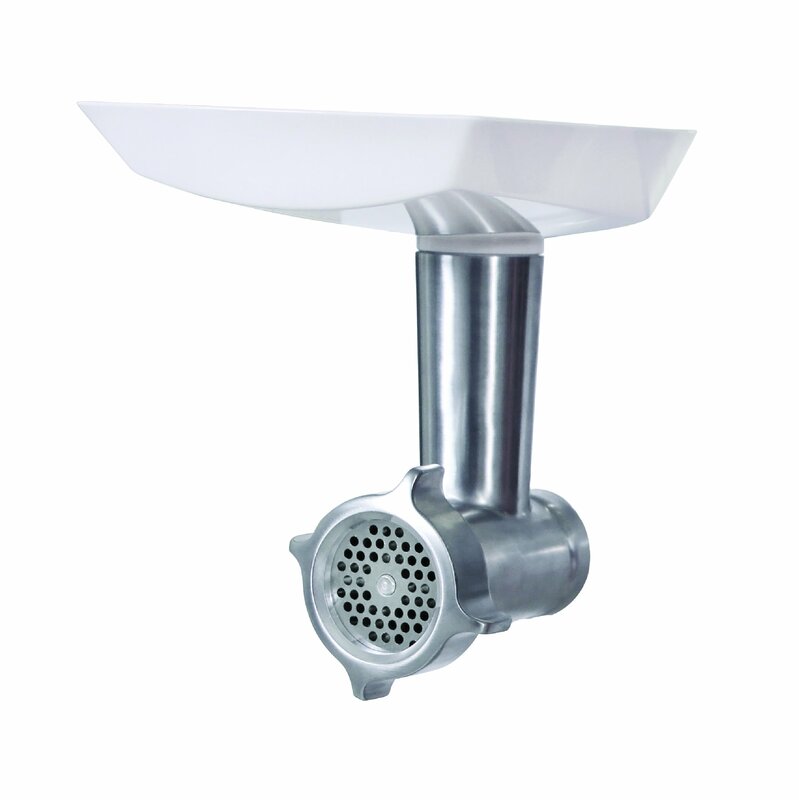 Make your Bosch Universal Plus stand mixer more versatile with this meat grinder. 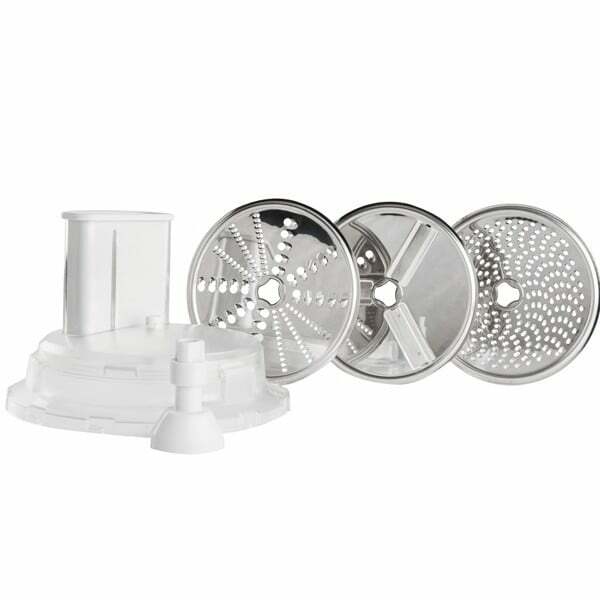 Easy to assemble, attach and clean, it comes with a 4mm and 8mm disc, sausage stuffer a filler tray and pusher. The fine disc will grind raw or cooked meat for spreads, as well as fresh or dried bread for crumbs. The coarse disc will grind raw or cooked meat, firm vegetables, dried fruits and cheese. 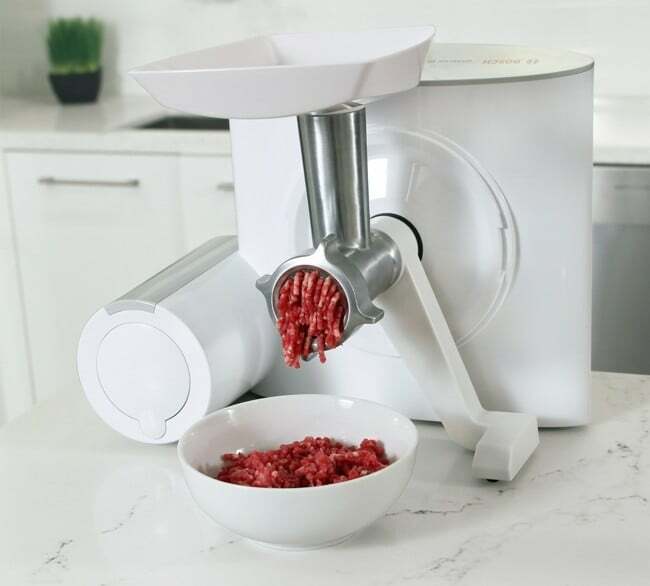 Grind your own beef or chicken for fresh meatloaf, burritos, and hamburgers. 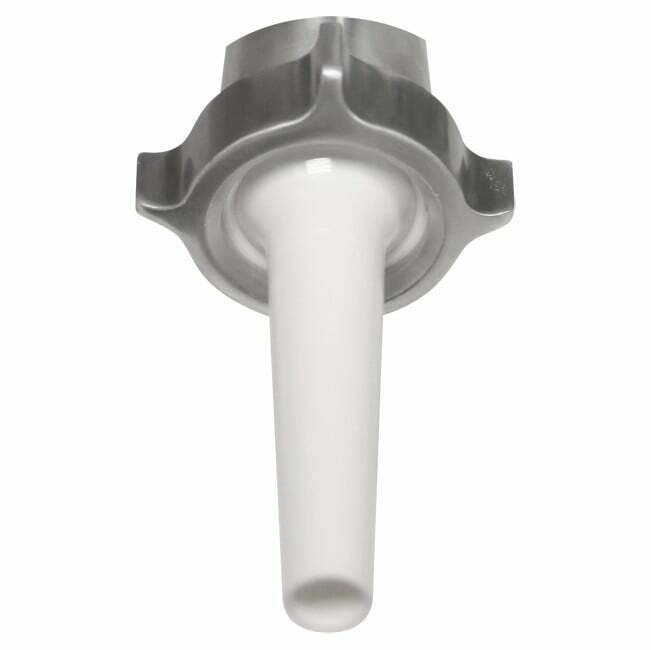 Easily make your own favorite sausage with the included sausage stuffer. 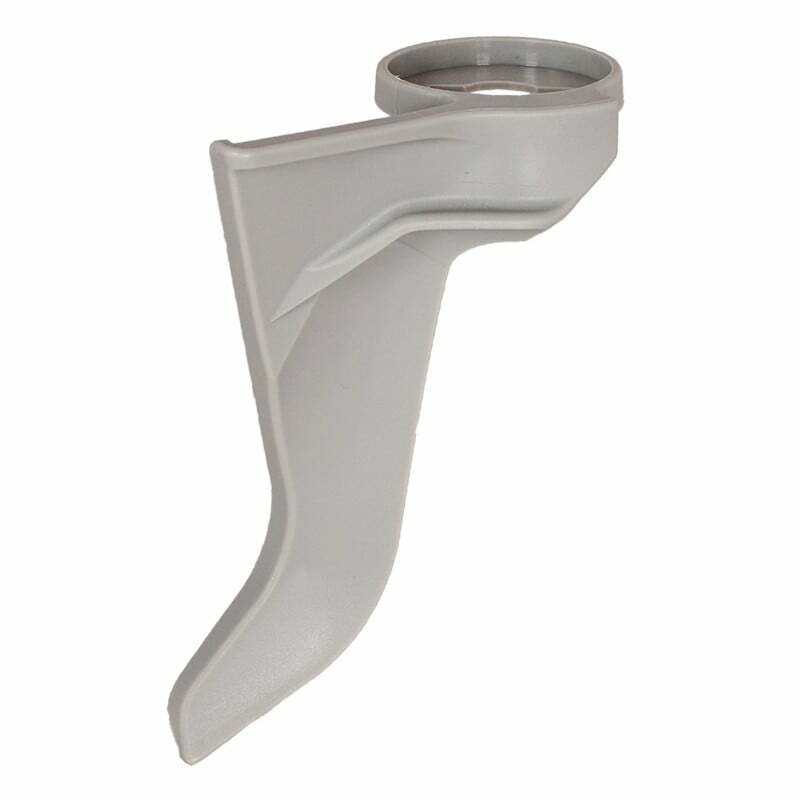 The included adapter leg can also be used with the new pasta roller and cutter attachments.